There’s a new top-of-the-line Mac coming in 2018. When you buy one, hopefully it’ll be filled with the tech to make it the fastest Mac for years to come. Now that we know that Apple really does care about the Mac and is working on a new Mac Pro, it’s no longer a useless exercise to dream a little bit and make a wish list of what we’d like to see in Apple’s top-of-the-line Mac. Apple says the new Mac Pro will hopefully ship next year. Once it does hit the market, here’s what I hope to find in the future Mac Pro. There’s no denying that the current cylindrical Mac Pro is a design feat that’s nice to look at, but it’s impractical in so many ways. And the fashionable design is one of the last things pro users care about. It’s not like you’re going to sit there and admire the Mac Pro’s round edges and gunmetal glare while waiting for a 4K video to render. No, you’re moving on to other tasks. You’ve got to get stuff done. 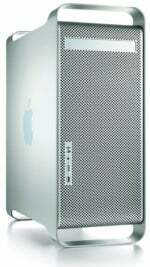 Apple’s aluminum tower case made its debut with the Power Mac G5 in 2003. 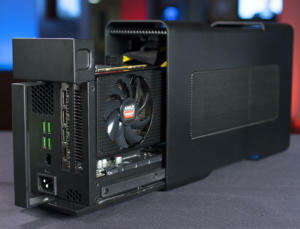 A tower case design that provides easy access to the inside of the computer is what pros want. I’m not an engineer or a designer, but I imagine a tower is easier to deal with (and it’s a design proven over and over again) when it comes to thermal considerations, which Apple admits is a problem with the cylindrical Mac Pro. Should Apple simply revive the “cheese grater” design of the original Mac Pro? Apple doesn’t believe in looking back. That tower design worked, but it was extremely heavy and bulky. Apple’s all about the sleekness and thinness of its Mac laptops, iPhones, and iPads, so expect the same for a Mac Pro tower. 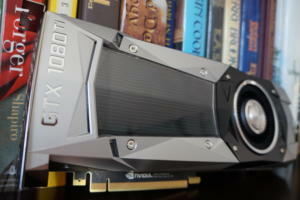 When Nvidia recently started shipping its GeForce GTX 1080 Ti, I had the same thought I always have when a new beastly desktop graphics card hits the PC market: It’s too f-ing bad that a Mac can’t use that new GPU. In its Mac Pro pow-wow with select members of the media, Apple admitted that it took the wrong approach to its graphic implementation in the cylindrical Mac Pro. Apple gave the impression that the new Mac Pro will accommodate the way GPUs are currently designed, resulting in better handling of 3D graphics, video, and virtual reality software. But it’s not enough to include current GPUs in the Mac Pro. I can easily see Apple including a non-upgradeable GPU in order to accommodate certain design philosophies, and that would be wrong. Mac Pro users demand speed, and the ability to upgrade the graphics card when a faster one becomes available is key to fulfilling that demand. Razer Core external GPU for PCs. During the Mac Pro briefing, TechCrunch’s Matthew Panzarino asked Apple about external GPUs. Apple VP Craig Federighi responded with a terse, “I think they have a place.” So neither a denial or confirmation. An external GPU opens up some interesting possibilities. It would work over a Thunderbolt 3 connection, and since it's external, we could see an interesting and compact Mac Pro case design. It’s also feasible that an external GPU unit could also be used with a MacBook Pro or any other Mac equipped with the proper Thunderbolt 3 ports. However, an external GPU is the exact type of product Apple historically would not sell. (An external GPU also requires some macOS issues to be worked out.) But it looks like the thermal issues with the current Mac Pro calls for some out-of-the-box thinking with the future Mac Pro. In order to make my point about the CPU in the future Mac Pro, I’d like to talk about Apple’s current MacBook Pro. 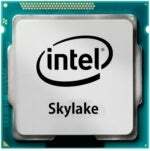 The MacBook Pro uses Skylake processors, which were released by Intel in 2015. Meanwhile, the PC market offers laptops with Kaby Lake Intel processors, the successor to Skylake that was released last year. Essentially, the MacBook Pro uses an older-generation processor, which might be fine for what people do on the laptop. But the Mac Pro needs to have the latest Intel processor available. 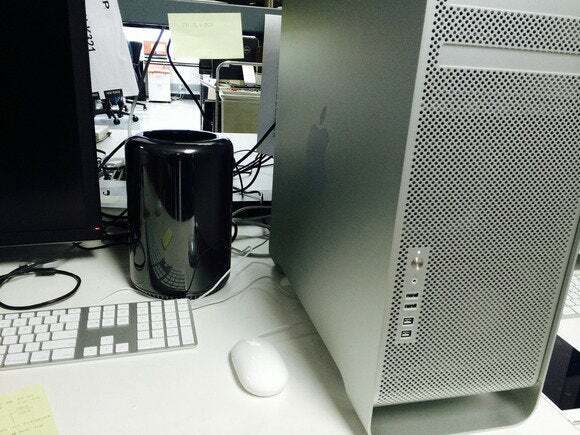 The Mac Pro is Apple’s way to showcase its implementation of the best technology available. Older-generation processors defeat that purpose. And as I’ve said before, Mac Pro users demand speed. Imagine the letdown if Apple revealed a Mac Pro in 2018 based around a Skylake processor. As for the ability to upgrade the CPU, I don’t think Apple would or could do it. As PC users know, a CPU upgrade often requires a motherboard upgrade, and Apple has never gone that route. That's another reason why Apple needs to use the latest processors. This goes without saying, and it’s probably a done deal. Thunderbolt 3/USB-C is on the MacBook Pro, so there’s a precedence in the Mac lineup. I would like to see a couple of USB 3.0 ports, though, to support legacy hardware that people use. 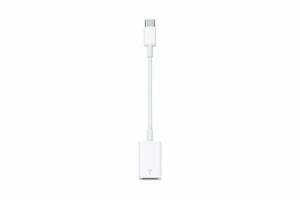 Sure, Apple offers a USB-C to USB Adapter ($19), but since the future Mac Pro is going to be Apple’s most expensive Mac, adding a couple of USB 3 ports will not only be convenient, but it’ll also save the user from buying more adapters. I’d like to see most of the ports on the current Mac Pro appear on the future Mac Pro: ethernet, the audio out ports, and HMDI. No need to include FireWire; I know some will disagree, but Apple moved on from FireWire a while ago. The SSD inside the current Mac Pro. A lot of Mac Pro users rely on external storage, but you also need enough internal storage. The current Mac Pro includes 256GB of flash storage, and for content developers, that’s too small. At least 1TB is ideal, but it’s expensive. 512GB, while probably on the small side, is a good cost/capacity compromise. You can upgrade the current cylindrical Mac Pro with a third-party SSD, like one offered by OWC. But the installation involves more than simply disconnecting and removing the old drive and connecting and placing the new one. A new tower case could make it really easy to perform a storage upgrade. Also revealed during Apple’s Mac Pro briefing: The company is working on a pro display. No details were offered on the display, but Apple worked with LG on the UltraFine 5K Display, which can lead you into the direction Apple will probably take with its pro display. It sounds like the new Apple display is being designed with the future Mac Pro in mind, but I hope Apple remembers that an Apple pro display will be bought by non-Mac Pro users, as well. So hopefully any dependence of the pro display on the Mac Pro will be kept to a minimum. I mentioned above how I’d like to see USB 3 on the future Mac Pro. 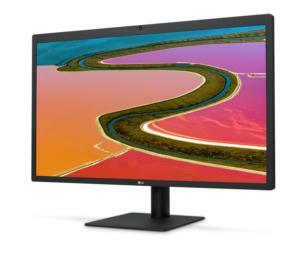 The LG UltraFine 5K display includes USB-C ports, so we’ll probably see USB-C ports on Apple’s pro display. If Apple included a USB 3 port on the display and left them off the future Mac Pro, I’d be OK with that.